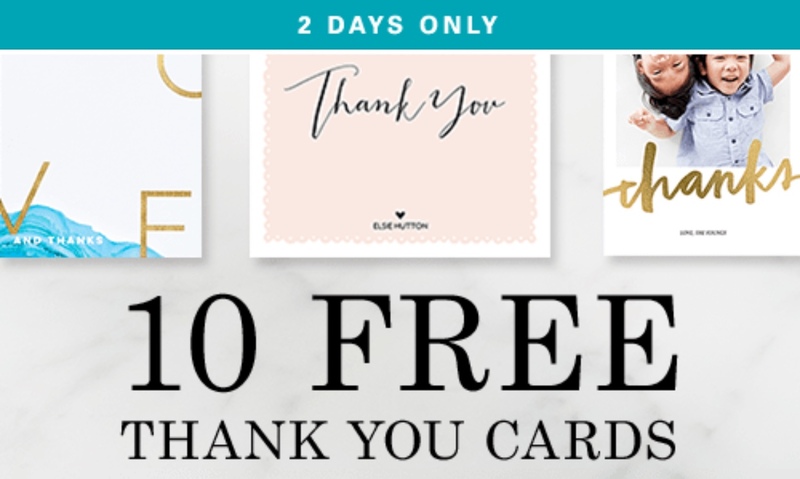 Now through Tuesday night, TinyPrints is offering 10 free thank you cards when you use the promo code 10FREE at checkout! Plus, you can get free shipping when you use the promo code TPFREESHIP at checkout! Please note that this offer is good on square trim, signature cardstock cards either 3×5 folded to 5×7 flat. Any other type won’t be free after the codes. You do need to put your credit card number as part of their fraud prevention, but you won’t get charged.